This year, I found myself in Norway. Land of the Vikings, meatballs, and of course, Frozen. With Norwegian Airlines offering really cheap fares from the U.S. to Europe via Oslo, it’s worth a few days to spend time in what some studies say is one of the happiest places on earth. Oslo is clean and orderly and the people are serious yet friendly. I feel safe in Scandinavia. The Norwegian city is well-organized for tourists with many attractions. Almost everyone speaks English. 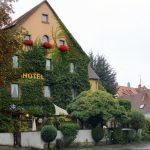 It lacks a bit of the bohemian, vibrant culture you might find elsewhere in Europe, but it is definitely peaceful and low-key for a big city. Awesome bonus: The train from the airport takes you right to the central station, where there are tons of hotels, shops and museums within a short walking distance. 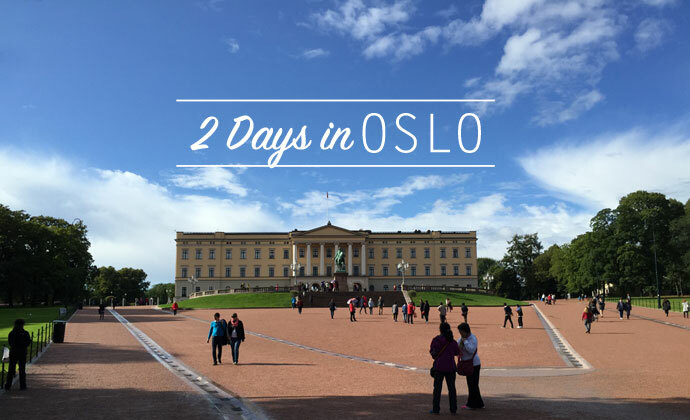 Plus, if you buy the Oslo Pass (which you should! ), you get free admission at most museums and free bus and train travel within the city. 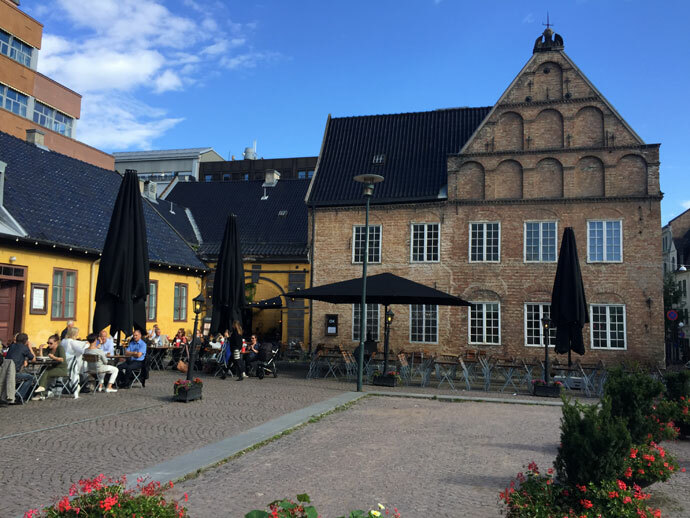 What we love most about European culture – old buildings and outdoor cafes! 1. 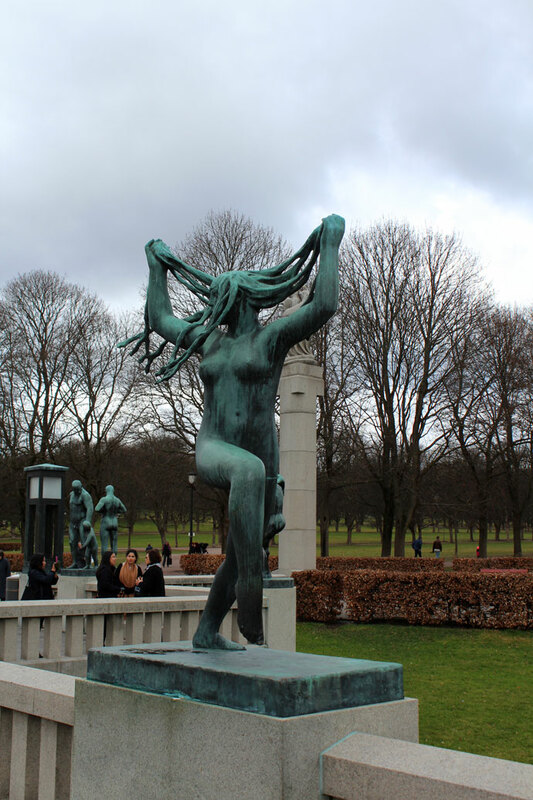 Vigeland Sculpture Park: A gorgeous park with over 200 sculptures of people in various poses. The sculptures were created by Gustav Vigeland in the 1940’s. 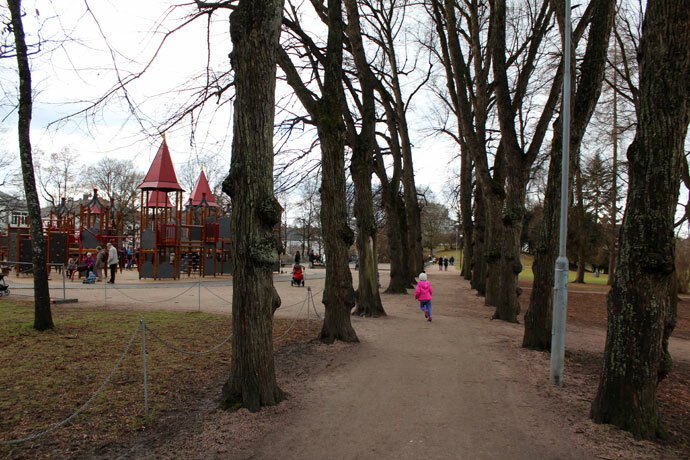 Plus, a children’s playground and plenty of room to run. 200 sculptures, a giant totem pole of bodies and more at Norway’s most popular attraction. Always with the playgrounds! How we travel with a kid. This one is right next to the sculpture park. 2. 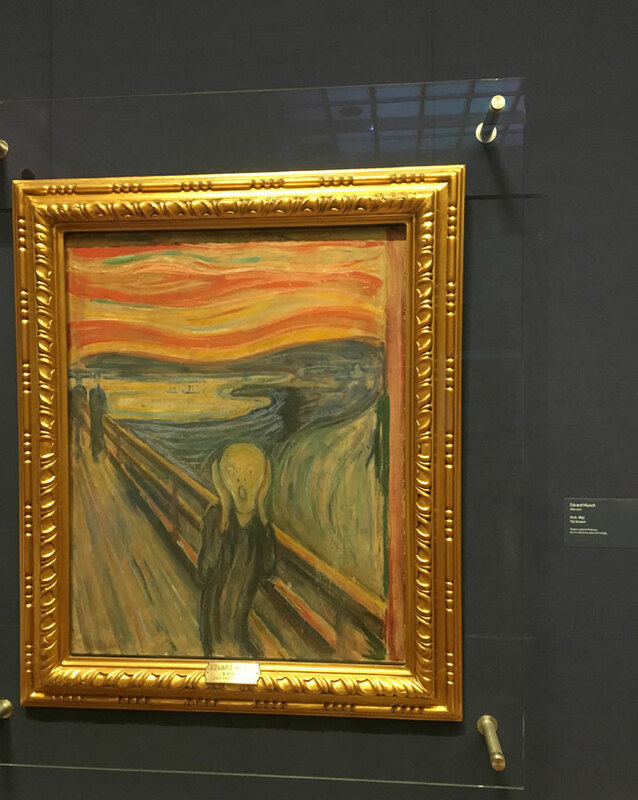 National Gallery (with the real Edvard Munch’s The Scream): The National Gallery in Oslo features the most recognizable version of Edvard Munch’s painting, The Scream, as well as works by Monet, Renoir and El Greco. This one is at the National Gallery, but there’s also a whole Munch museum in Oslo. 3. The Fram Museum (the Polar Ship Fram): Go inside a real polar ship and see how Norwegian polar explorers would have lived aboard. The Fram Museum also has tons of interactive exhibits. 4. Viking Ship Museum: My husband is always watching historical dramas about Vikings. He loved this museum! It houses a few Viking ships that were recovered as well as old Viking sleighs and graves. The wooden ships are beautifully restored. 5. Kon-Tiki Museum: Maybe you know the story of Kon-Tiki. I had vaguely heard of it before I saw the Kon-Tiki Museum. A Norwegian explorer set out on a raft from Peru to Polynesia to prove that South American people could have settled Polynesia. Very inspiring! 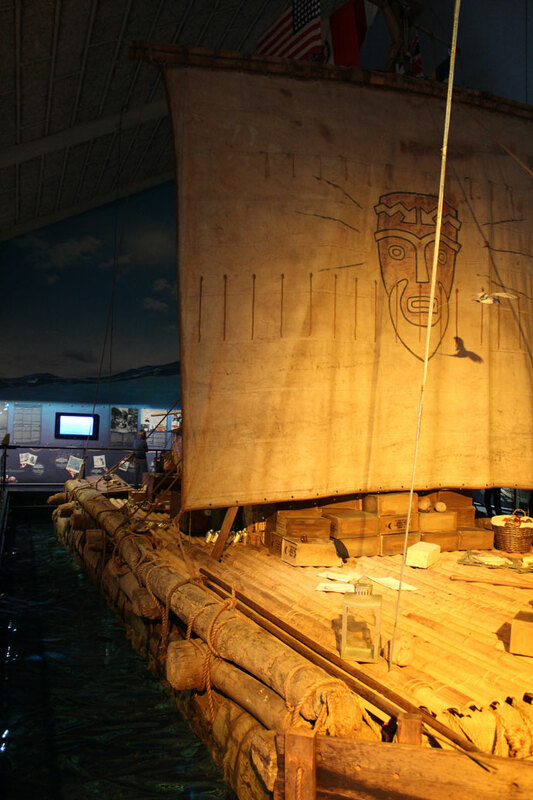 The museum houses the real raft Thor Heyerdahl used on the successful voyage. Check into the Scandic Byporten in the building right next to the train station. 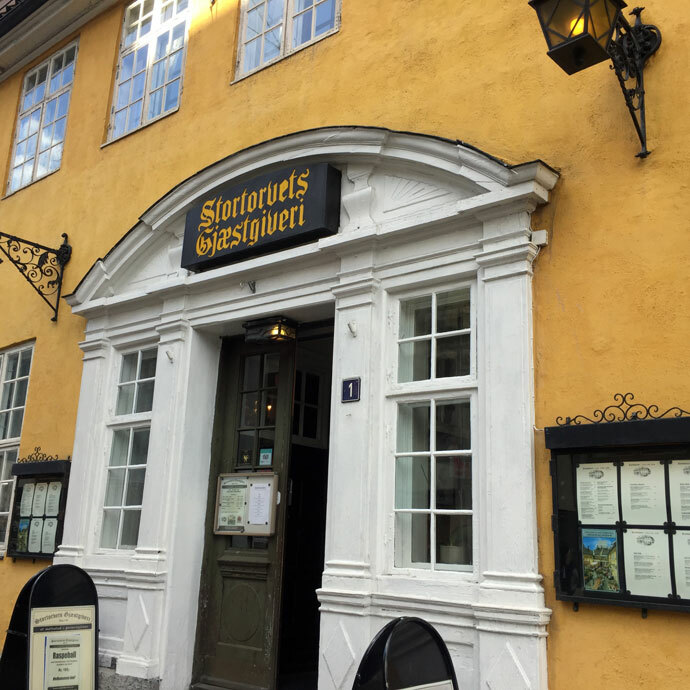 You couldn’t ask for a better location, right near all Oslo, Norway attractions.. Breakfast is included and is a total smorgasbord (pardon my Swedish!) of meats, pastries, and egg dishes. 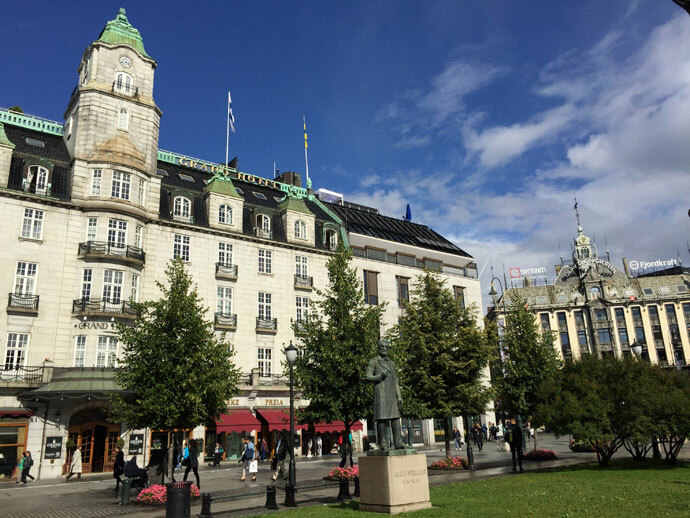 The hotel is on one end of Karl Johan’s Gate, the main street in Oslo. It leads straight to the Royal Palace, with some shopping, restaurants and an awe-inspiring church along the way. 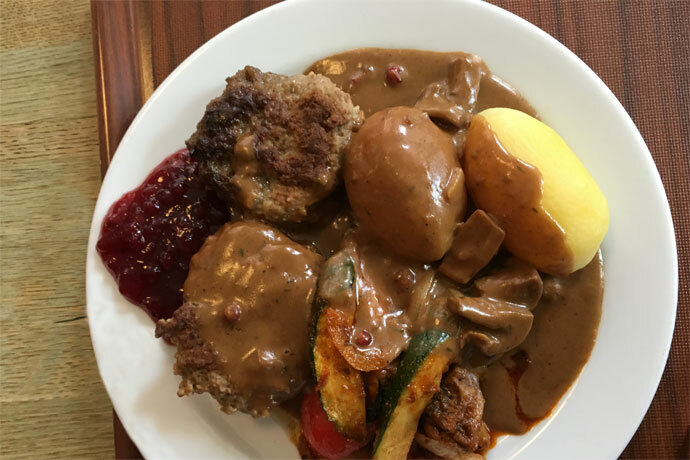 Kaffistova: Kaffistova has had traditional Norwegian food since 1901 in a self-serve cafe style. Try the reindeer! 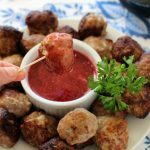 Reindeer cakes with lingonberry sauce and loads of gravy! 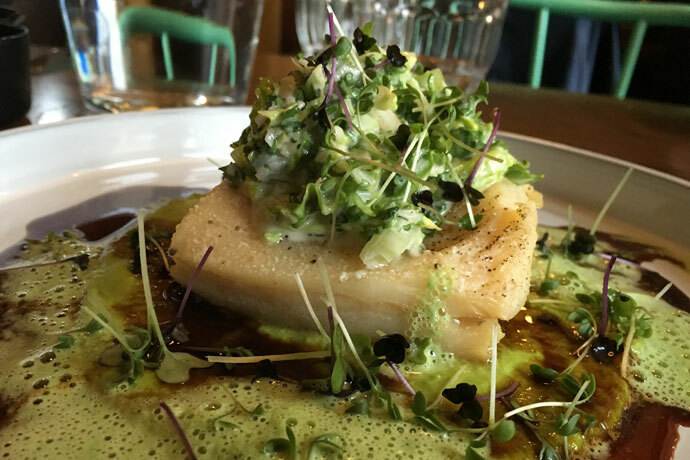 Bacchus Spiseri: With modern, artistic food in the heart of the city, Bacchus Spiseri is a new take on European cuisine. 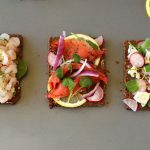 All the fish your heart desires in Scandinavia. And this plate even has something green on it! Toyenbadet Swimming Pool and Waterslide: We love to swim in Europe! Aquatic centers are full of local families and cultural customs. Toyenbadet in Oslo has an indoor children’s pool and lap pool with a waterslide. It’s free with the Oslo Pass. Mountain Train Ride to Ski Lodge/Restaurant: We had a few hours to kill before our plane home, and wanted to take a short day trip from Oslo. With the help of the lady at the Oslo Pass counter, we boarded a train up into the mountains. It was a scenic train ride through hilly residential Oslo. Grass covered roofs, fields and glossy dark blue houses. 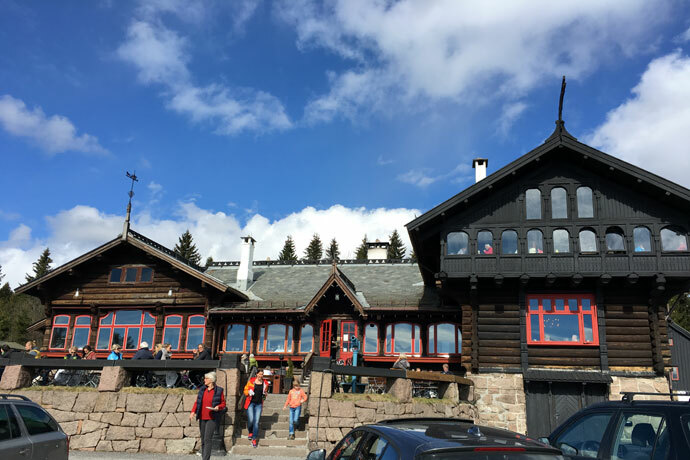 We had lunch at the Frognerseteren Restaurant, a ski lodge with views of Oslo Fjord and the city. 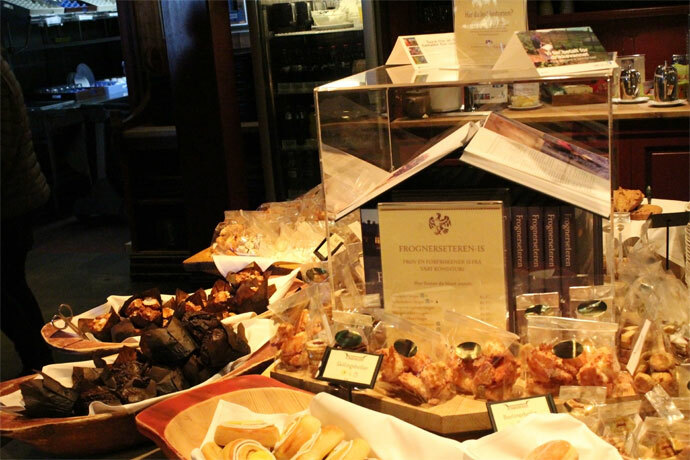 There were delicious pastries, mashed potatoes and of course meatballs! An old-fashioned ski lodge, Frognerseteren, set up in the mountains of Oslo. Norwegian pastries wrapped up to take on a hike through the forest. If it’s snowy and you’re up for adventure, this is also where you can ski Oslo. Norway is on the krone and is well-known for being expensive. 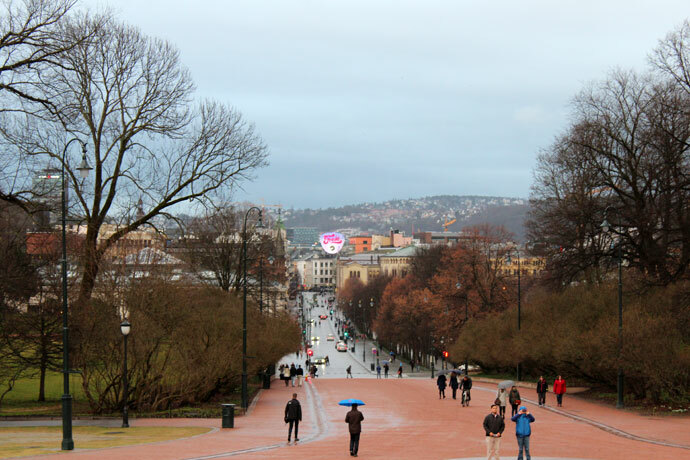 If you want to see a lot, buy the Oslo Pass and get your money’s worth on that free train and bus travel! Museums quickly add up when you don’t have the pass. If you don’t have the luxury to spend $10 on a small hot dog from a cart (Not kidding! 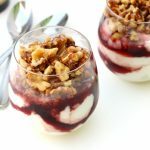 ), ensure your hotel has an included breakfast and check out the city’s grocery stores. You can search for them on Yelp in advance. Convenience stores often have cheap sandwiches and snacks. Oh 7-11, how international of you! Take the Flytoget train from Oslo Gardermoen Airport direct to Oslo Central Station. Simple, clean and no way to get lost. Why Only 2 Days? It can be a long flight to Europe. 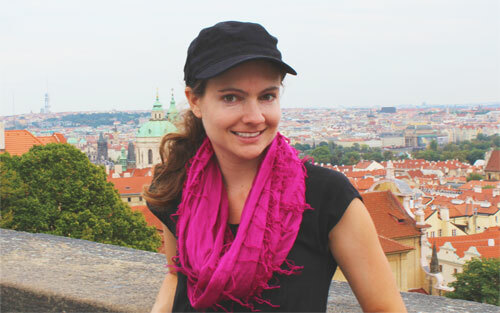 We want to make the best of our vacation time, so we plan to spend a few days in each city. 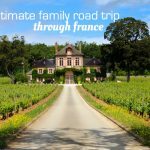 Train, plane and bus travel between cities in Europe is efficient and reasonably priced. We suggest a minimum of 2 full days in each city to see the sights. 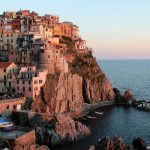 More 2-Day Food-Focused City Guides to come!